PART NO. DGI-SVK31721 R790-220520PH-NM H13A Sandvik, CoroMill 790 Insert for Milling. 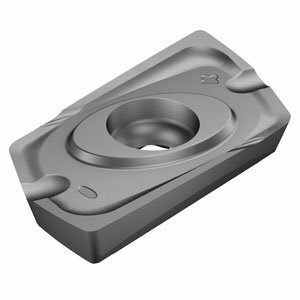 CoroMill inserts are optimized for a material group and type of operation. Correctly applied and with optimized cutting data the productivity improvement is far beyond what any general type of insert can offer.